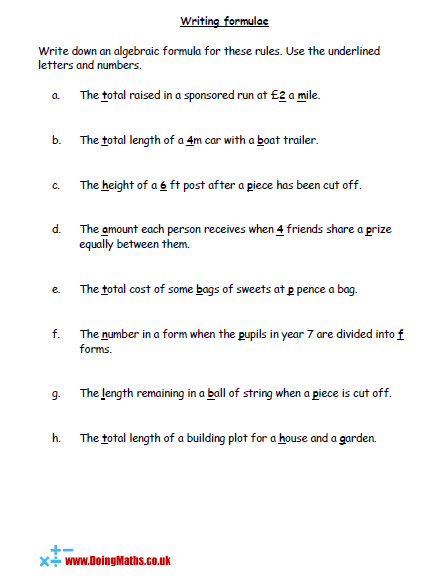 A collection of basic algebra worksheets and activities to get pupils started on algebra. A great worksheet to help introduce the use of letters in maths. 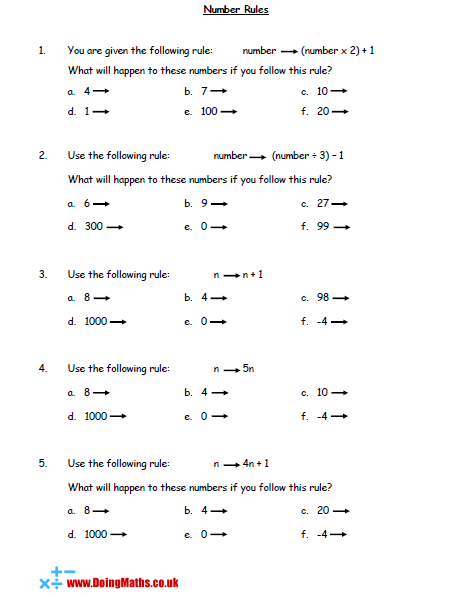 Starting with simple number rules, this worksheet then leads into using basic algebra with the letter n representing the number. A matching card game to cut out comparing a worded statement and its algebraic equivalent e.g. 'an unknown number multiplied by two' and '2x'. A worksheet to practise converting a worded statement into a formula. A further worksheet for practising the writing of formulae.